**This event is sold out. 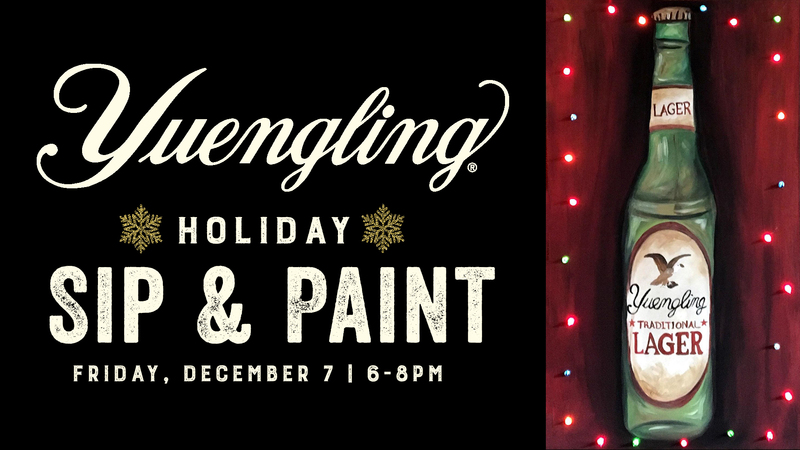 Join us for our first ever Yuengling Holiday Sip & Paint! Create a fun and festive Yuengling Traditional Lager painting on wood through step-by-step instructions. Makes the perfect gift for any Yuengling fan! The class will be taught by Andrea Perno. Registration is required, class space is limited to 40 students. Cost is $40. Tickets are available here.